When someone mentions the county fair, what is the first thing you think of? Is it the smell of the fair food, the crafts and vendors, or maybe it is the different animals, or riding all the rides? For me, I think back to the many friends I made, how proud I was to show my 4-H and FFA animals, and all the craft projects I entered into the fair contests. Our local fair provides many opportunities for young people in our community to showcase their creativity through contests and exhibits. I often mention fair participation to youth groups and, more often than not, the response is something to the effect of: We didn’t know that youth not directly associated with the fair through 4-H or FFA could participate. This made me realize that as a youth development professional I need to do a better job of getting the word out that anyone can participate in most of the Clay County Fair youth events or contests. So here I go: any local youth, no matter their age, can participate in the Clay County Agricultural Fair. 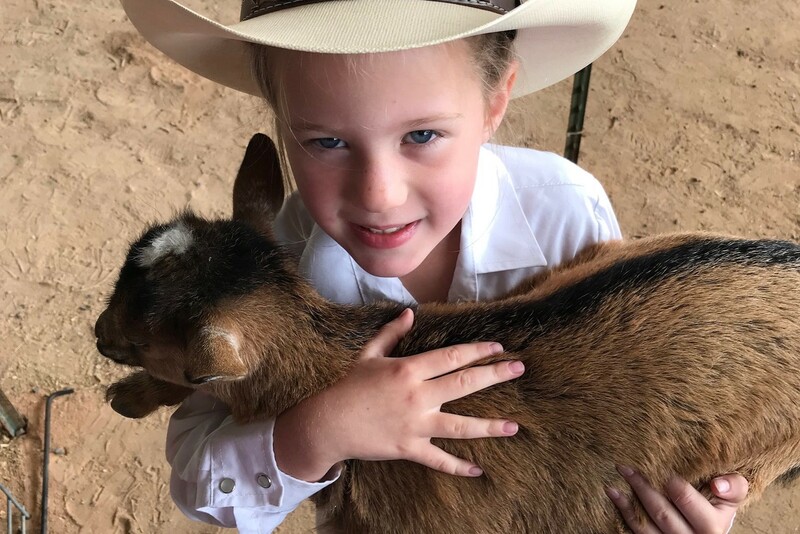 Most livestock related events require 4-H or FFA membership, but there are over 10 other open shows and multiple contests that young people can participate in. For example, does your child have a green thumb? Then have them grow a plant to enter into the youth horticulture show. And if you’re raising the next aspiring Picasso, enter their paintings or sketches into the art and photography show. Does your child have a talent for making things with their hands? If so, have them enter their creations into the creative arts contest. One of the coolest events at the fair is the duct tape contest – I mean who doesn’t want a wallet made out of duct tape? Allowing young people to showcase their creations during the 10 days of the fair helps them feel a sense of pride and builds their confidence. They also have an opportunity to win ribbons and prize money! Does it get any better than that? These are just a few of the many contests and opportunities available to youth at our fair. Now do you want to know where to learn more about these opportunities? If you answered yes, you can visit the fair website at https://www.claycountyfair.org. This is where you can explore the variety of events as well as the rules and instructions for entering items. I want parents to be aware of these wonderful opportunities available to their children. I want our young people to experience the memories, friendships and life skills I gained as a child participating in my county fair. There is so much more to the county fair than food and rides.